An entire hotel for a weekend? Yes, please. Ah, Labor Day. Leaves changing colors, recreational throwing of the pigskin, and for many including this author, an opportunity to tour our lovely country by automobile. For many of us, the 2-6 hour drive to a nearby city, state, or beach side town represents an opportunity get away for the long weekend. Spending time with family, friends, and loved ones is a great escape from our busy lives. Although my wife and I often like to stay at bed and breakfasts, we find ourselves in need of a short stay on the road in many different locales, places where there may not be a 5-star B&B, but plenty of motel/hotel options. Many of these may be considered questionable, but one chain that we do enjoy frequently is the Hampton Inn. Image via Wikipedia This week marked back to school for our teachers, and though that means back to work for most of us, it also means that one of my favorite distractions is also just around the corner. Football season is upon us, hence, this week's T.W.I.C. features a pigskin instead of the usual baseball. We started the week with the better than Shrek 3 ending of the Drive/Education Reflections trilogy. On Tuesday and Wednesday, I reflected on teacher websites and tablet PC usage since I was giving workshops on both during the day. I found the best fantasy football draft application for the iPhone and iPad on Thursday, as well as a true contender for e-Textbook publishing on the iPad. Google continues to impress with free calling along with other cool new features. Lastly, I wanted to point out that I offered the rationale for ads on my site as well as created an ETHS friendly portal. More to come with that. Have a great back to school week! Image by Régis Gaidot via Flickr Anyone else noticing a ton of changes to your favorite Google products? Every day I open Gmail, Calendar, Docs, Blogger, Images or anything Google, there seems to be something new in store. While I usually welcome and embrace change, I can imagine how the casual user may get overwhelmed with the "new" icon flashing everywhere. For your convenience, here are some of the new features you'll find in your favorite Google products. Back to school shopping, leaves changing color, shorter days, this can only mean one thing...Football Season!!! And that means it's time for some fantasy football drafts. Yes, prepare to lose hours of productivity as you scour the Internet for the most updated news on your third wide receiver. As drafts are already underway, I thought I'd take the opportunity to review the hands-down best iPad (and iPhone) app for your upcoming season: Fantasy Football Cheatsheet '10. Image via Wikipedia Today's workshop focused on giving some basic training to teachers using a Tablet PC for the first time. During the 2-hour training, I helped teachers become familiar with their new machine (Lenovo X61t), offered some tips and minor tweaks, and we then explored some possibilities for using the Tablet in the classroom. Today, I gave a workshop on creating teacher websites, so I thought I'd share a few of the tips I've picked up along my 10 year teaching career, nearly all of which featured a classroom web presence in some capacity. One of the most important revelations in how I was able to create and more importantly, maintain a working website, was by first understanding the audience for whom I was creating the website. I like trilogies. Star Wars (Episodes IV-VI), The Lord of Rings, and the Godfather series all come into mind as some favorites over my lifetime. Since I've taken the time to prepare a post for each of the first two parts of Daniel Pink's book, Drive, and there just happens to be a third part, why not take the opportunity to complete the first trilogy of posts in Chanatown? Unlike Godfather III, I hope that this part three ends on a high note. Image via Wikipedia This was a jam packed week both in real life and in Chanatown, as I spent most of it out of town in California and in Springfield, IL. On Monday, I finished reading Drive, and reflected on part two (the trilogy ends on Monday). I was able to work from the road because of tethering access given to my Droid using PDANet. I offered suggestions for using Google Alerts on Wednesday, and discussed how I enjoyed Zinio on my iPad (an update about new features coming soon). On Friday, I reviewed Widget Locker, an app that has kept me glued to my Droid X, and we closed out the week with some reflections from the Wizard World Comic Convention. This week marks back to school for me, so things are about to get a bit crazier. Image by laihiu via Flickr One of the biggest reasons I left the iPhone for the Droid X was for the option to customize my phone. I’m not just talking about changing my background (only recently allowed on iPhone 4) or wallpaper. I wanted to ability to change launchers (I suggest Launcher Pro or ADW Launcher), add widgets (here’s a few Sports recommendations), and alter the lock screen. I’ve found that there are times when I just don’t want to slide to open, and Widget Locker helped me find a solution to my problem. Image via CrunchBase When I first saw the Apple iPad in action, I could not wait to see what publishers would have in store for their native applications. I imagined those moving pictures and cool animations as depicted in Harry Potter movies. Unfortunately, while some magazines such as Popular Science have excelled in engaging the reader in the new medium, and others such as GQ have managed to deliver content at a reasonable price ($2.99 per issue), others have begun their iPad journey with either lackluster innovation, a high price tag ($5.99 for SI, really? ), or both (e.g. Time). This led me to Zinio. Image via CrunchBase Every week, I receive an email that contains all of the mentions of the high school I work at. In fact, by including its name, “Evanston Township High School” in this blog post, I’ll see a link to this post in the weekly notification. RSS feed? Email newsletter? Nope. A simple Google Alert is all that I need to make this happen, and if you’re unaware of how to use Alerts, feel free to read on. Image by doctorserone via Flickr So, I don’t find myself without Internet access too often, but when I do, it’s usually during times when I’d say to myself, “Boy, I could really use Internet access right about now.” And I’m not talking about access on my cell phone; I’m talking about full keyboard, full browser, and full USB flash drive access. This was one of the biggest reasons I jail broke my iPhone, and also one of the reasons why I love my new Droid X. With an Android phone, one doesn’t need to jailbreak (or root) in order to tap into the Internet through tethering. As Apple would say if it openly allowed such a feature, “there’s an app for that.” Today, I explore one such app, PDANet, as I experienced it on a recent trip to California. I've been cruising through Part 2 of Daniel Pink's newest book, Drive. Last week, I made some connections to education with part one. This week, I dive into the meat of his work, his explanations of Autonomy, Mastery, and Purpose, and make some reflections on what this means for the classroom teacher. These concepts were major motivators for me in becoming a fan of Mr. Pink as I reflected on earlier this year. Image via Wikipedia I found myself stretching my posting deadline each day this week, so we'll see how the upcoming week unfolds especially since I'm on the road for a wedding. Still, a full week of posts included some reflections on part one of Dan Pink's Drive. 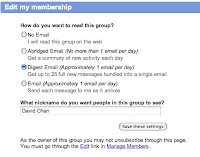 I then offered some tips on managing one's Google Group notifications. The iPad as a textbook received some criticism from this writer, and an entertaining link to a pricey case led to some reflections on cases in general. On Friday, I ogled over my live wallpaper options, and offered a roundup of some great math games used with in my tutoring. Image via Wikipedia This week, I went back to the web for some interactive math games, and although this may sound like a direct advertisement, I was able to find some great material through the site that I visited and wrote about last week, Math Playground. Specifically, I discovered additional activities when I needed an alternative to a simple worksheet or problem set. So, here’s another roundup of a few elementary math games. Live Wallpapers - Fun on the Android home screen. Image by barron via Flickr One of most enjoyable parts of jailbreaking the iPhone was having the ability to customize the home screen, and there was a great app (Bosspaper) that helped manage the changing backgrounds. Upon getting the Droid X, I was immediately exposed to an even greater world of customization, and a big part of this was in the form of Live Wallpapers. I'll dive into a few of my favorites, and discuss the price at which this prime customization comes. Image by dajan via Flickr So, my aunt emailed me a link jokingly suggesting that I write a review for the world's most expensive iPad case. Although I'd be happy to have a demo unit sent to me for a review, I have to say that I probably won't be a potential customer of Tod's anytime soon. What I will do is take an opportunity to reflect on the importance of a case, and try to delve deeper into the mind of a gadgetphile. Why is it that we must have something to hold our devices? Image via Wikipedia Last night, I did some catch up reading on news through the USA Today app (highly recommended) on my iPad, and one of the main articles questioned whether college students can learn as well on iPads using e-books. Although I do love my iPad and find many uses for it, interestingly enough, one of those uses is not to read books. I appreciate the attempt to make purchasing and organizing books simple through iBooks. However, I'm still not sold on the iPad as a replacement to traditional paperbacks and hardcovers. Image via Wikipedia Although I wasn't overly moved nor able to make too many connections between Daniel Pink's A Whole New Mind and education, I appreciated his main points, and I still stand by his TED talk on motivation as having a major connection to education. In Drive, he takes the framework established in the TED talk, and expands upon it, focusing a chapter on each of the main points of autonomy, mastery, and purpose. Similar to how Pink divides the book into three parts, I've decided to discuss the book in three separate posts. Continue on to learn more about Part One and its implications on education. Image via Wikipedia Well, another week has come and gone with a post per day. A story arc appeared as jailbreaking the iPhone started and ended the week. On Monday, I reflected on my experience freeing up my iPhone and how ultimately, I still wasn’t satisfied. Tuesday, I offered teachers and other readers a summary of how to capture screenshots on multiple platforms. Dropbox was suggested as a possible flash drive replacement on Web Wednesday. Thursday’s review was a roundup of the best sports widgets available on Android. I then discussed how learning math can be fun with a few basic online games on Friday, and we came full circle with a discussion of how iPhone 4 users are still tempted by the additional features that become available when one jailbreaks. August marks the return to school, but we still have a few weeks remaining. As always, thanks for reading. Image by nikitagubanov via Flickr An interesting read from the NYTimes (through ReadWriteWeb) was published this week that cited several reasons why iPhone 4 users are still encouraged to jailbreak. I wrote about my jailbreaking experience earlier this week, so it's a nice way to close out the week with a proper story arc. Let's take a closer look at some of what the writer proposes. Image via Wikipedia With football season fast approaching and baseball season long over (I'm a Cubs fan), it's time to take a closer look at what sports widget will occupy valuable real estate on my Droid X this fall. Again, this is a discussion of the best widget, which effectively rules out a few strong contenders (namely, LiveScores, currently without a widget as of this post). Read on to see who's in it to win it. Image by Funkbreaks via Flickr As a teacher, I have created and collected hundreds of documents over the years, ranging from worksheets to lab experiments to tests and quizzes. I would store them both on my home computer and on a portable flash drive to take to and from school. Thankfully, I never experienced a loss of the small and potentially elusive thumb drive, but I have begun to think about alternative arrangements, especially as my access to the Internet has become so widespread. Image by k-ideas via Flickr Last week, those with jailbroken iPhones rejoiced when the Copyright Office gave its blessing on jailbreaking and made it a non-violation of the Digital Millennium Copyright Act (DMCA). The news offered me an opportunity to reflect on my own jailbreaking experience and make an argument about why I chose to go with Android instead. Image by jessica.diamond via Flickr I know that compared to other blogs, 100 posts is a drop in the bucket. Some blogs achieve this feat in a day. For me, it's a proud accomplishment as I've had several blogs throughout the years, and the most successful one to date only made it to 72 posts. In addition, I feel like I'm on the verge of truly engaging in this hobby. I take pride in the system that I've developed in terms of getting lots of new content (the most important piece of any blog's success) up on the site. Image via Wikipedia In honor of going a full week of writing a new post every day, I'll take the easy way out on Sunday and offer a recap of this week's notable entries. One of my favorite shows growing up was "This Week in Baseball" and its "T.W.I.B. Notes", so I'm proud to present: "This Week in Chanatown" for the week of July 26, 2010.